A video featuring people who have made Ireland their home to showcase a new exhibition at the Little Museum of Ireland reflecting on ‘the relationship between victims of the Great Famine and people from all over the world who seek shelter in Ireland today’. 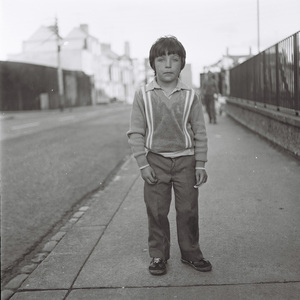 Leave to Remain:Refugees in Ireland 1847-2017 (until April 29) includes photographs by Serbian artist Vukasin Nedeljkovic, recording his experience of direct provision for three years. Posted in Misc and tagged Little Museum of Dublin, refugees at 9:47 am on March 22, 2019 by Bodger. 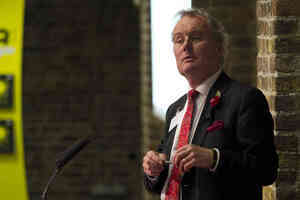 Journalist Kevin Myers will be speaking about “the role played by chance in Irish history”. The museum’s ‘media partner’? The Sunday Times. Posted in Misc and tagged Kevin Myers, Little Museum of Dublin at 11:11 am on February 21, 2018 by Bodger. 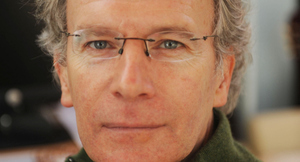 Fintan O’Toole will give a lecture, entitled ‘A Republic once again?’ on the ‘tattered legacy of the Easter Rising’ chaired by Elaine Byrne in the Little Museum of Dublin, Stephen’s Green, Dublin at 5.30pm. 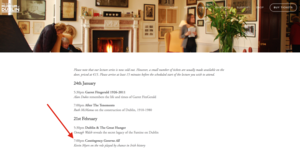 The talk is part of the museum’s Dublin Lectures 2015 series. A limited number of tickets are available at the greasy till, for €10. Posted in Misc and tagged Fintan O'Toole, Legacy of 1916, Little Museum of Dublin at 12:30 pm on July 14, 2015 by Broadsheet. 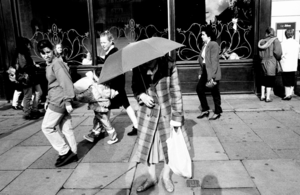 You may recall a post on the launch of photographer Wally Cassidy’s book ‘The Other Half Lives’ in May which covered Dublin between 1989 and 1993. 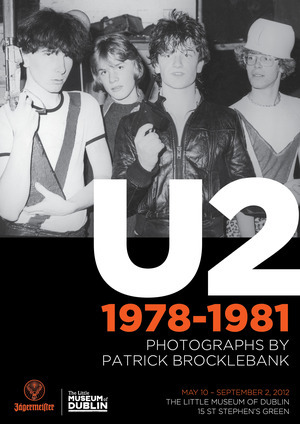 For the first time, the photographs from the book are on display – in the Little Museum of Dublin. The exhibition runs until September 7. As always, no favours, cuddles, or pictures were given for this post. 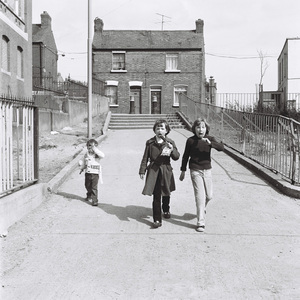 Posted in Misc and tagged Little Museum of Dublin, Wally Cassidy exhibition at 12:35 pm on August 12, 2014 by Broadsheet. We are delighted to announce a commissioning programme to produce artworks for public exhibit at the Little Museum in 2016. Inviting artists who work in any media, this exciting project will see the museum commission small scale art projects to commemorate the 1916 Rising, intersecting with present-day perspectives on commemoration, remembrance and the function of history as a component of civic awareness. As a cultural institution whose primary goal is educational, the Little Museum is wary of providing simplistic accounts of the past. 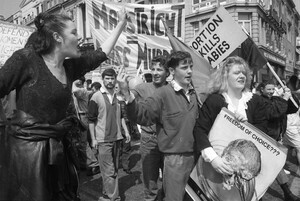 The archivist Catriona Crowe has spoken of the need to complicate the narrative during this decade of commemorations. With that in mind, we want to create audacious public interventions that provoke, educate and entertain. To introduce our commissioning programme, curator Simon O’Connor will host a public information evening in the museum on Thursday 7th August at 6pm. Artists and interested members of the public are invited to attend. Posted in Misc and tagged 1916 commemoration, Little Museum of Dublin at 12:58 pm on August 5, 2014 by Broadsheet. 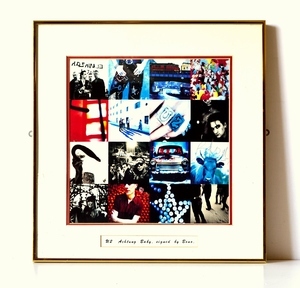 Tonight, at the Little Museum of Dublin, Lisa Godson [of the National College of Art and Design] charts the development of U2’s visual aesthetic with the band’s album sleeve designer Steve Averill. The event, called ‘Stealing Hearts at a Travelling Show’, will begin at 7pm. Tickets cost €11.30 (including tax booking fee and WINE reception, and can be purchased here. 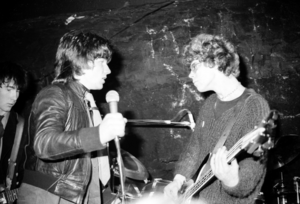 Posted in Misc and tagged Little Museum of Dublin, U2 at 10:03 am on May 14, 2014 by Broadsheet. 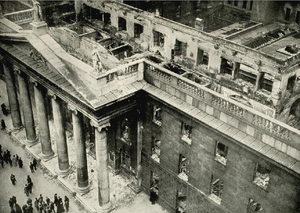 The Little Museum of Dublin, on St. Stephen’s Green, Dublin, are having journalist and author Padraig Yeates and former Irish Independent, now Sunday Times columnist Kevin Myers (above) over to talk about the 1913 Lockout. “Kevin Myers will open with a controversial reappraisal of Strumpet City, this year’s One City One Book, long the definitive narrative of the events of 1913. Myers will argue that the book is ”the moral inspiration for the disaster that was the Croke Park deal,” in a blistering critique of the second most celebrated Dublin novel. Mr Myers will speak at 5.30pm and Mr Yeates will speak at 7pm. Posted in Misc and tagged Little Museum of Dublin, Lockout Lectures at 4:11 pm on August 28, 2013 by Broadsheet. 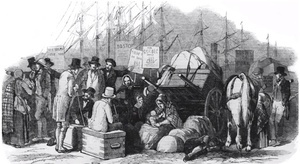 A video to mark Huddled Masses: The Irish in America. 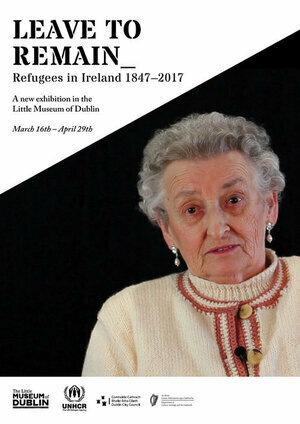 An exhibition opening TONIGHT at the Little Museum of Dublin, Stephen’s Green, Dublin. Clare Daly has sent her apologies. Too late for the Obama teens. 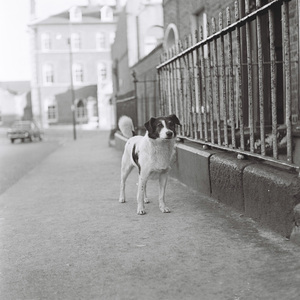 Posted in Misc and tagged Little Museum of Dublin at 5:09 pm on June 21, 2013 by Broadsheet. From an exhibition opening tonight (until January 30) in the Little Museum of Dublin, St Stephen’s Green of photographs taken by Brendan Walsh. 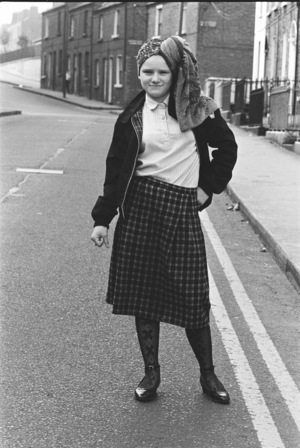 Brendan, whose Dublin collection spans 1972-1982, did his “apprenticeship” in Northern Ireland with Magnum photographer Evelyn Hofer. 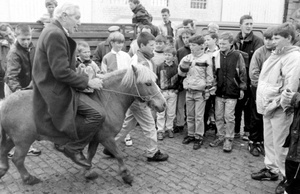 The photos are amazing – harrowing but really beautiful and very dignified. 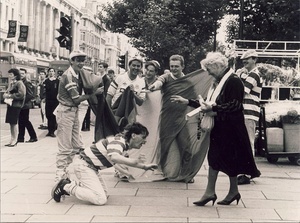 Brendan was also present taking shots at the famous Gregory Deal of 1982, some of those are in the exhibition too. 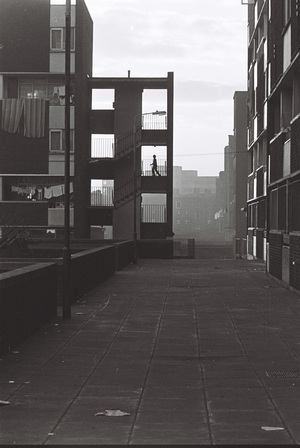 Its unsurprising how relevant these photographs still are – a people’s resilience in the face of a state’s failure to nurture them, a continuing hallmark of the city. 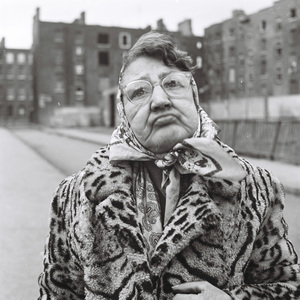 Posted in Misc and tagged Little Museum of Dublin at 4:03 pm on December 6, 2012 by Broadsheet. Anyone know who the bloke with the beard in the first pic might be? 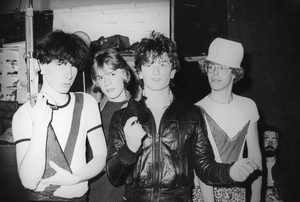 Posted in Misc and tagged Little Museum of Dublin, U2 at 11:31 am on May 10, 2012 by Ewok.